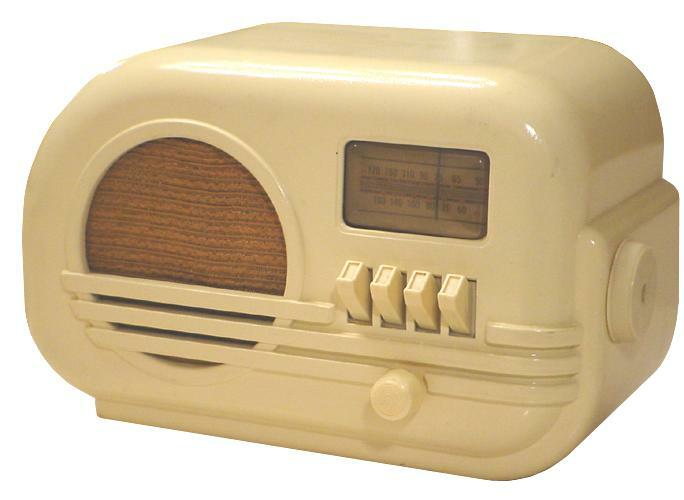 This Grnatline is a nice example of a nicely styled and deco Belmont-made radio. The arrangement with the pushbuttons and volume control on the front and the horizontal tuning knob on the right side clearly gives this radio away as a Belmont product. I have seen the same radio with the Delco brand.